Dr. Billings is a graduate of the University of Maryland School of Dentistry and founded the practice on Kent Island in 1981. In 2016, he was named Queen Anne’s County Business Leader of the Year by the Chamber of Commerce. 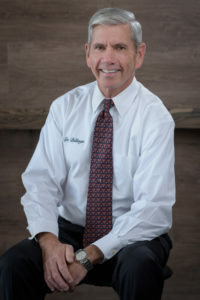 He has also received numerous other accolades, including: “Favorite Business Owner” and “Favorite Dentist” by The Shore Update, “Top Doc” and “Top Invisalign Provider” by What’s Up! Eastern Shore; “Favorite Doc” by Chesapeake Family Magazine. In the fall of 2017, he and Dr. Murphy were presented an official citation from Senator Steve Hershey on behalf of the Maryland General Assembly in recognition of their, “Commitment to the health and well-being of the residents of the Eastern Shore.” He has been featured on local TV and radio stations all over the Eastern Shore, including WBOC-TV (Salisbury), WCTR 96.1 (Chestertown), and WCEI 96.7 (Easton.) Dr. Billings is married and has four adult children. He has advanced training in cosmetic and implant dentistry and enjoys creating beautiful smile makeovers. When he’s not working, he likes to travel, golf and study photography. Dr. Murphy partnered with Dr. Billings in 1986. He is a graduate of the University of Maryland School of Dentistry and completed postgraduate education studies for implant restorations and cosmetic dentistry. Dr. Murphy was prominently featured in the May, 2017 issue of DentalTown Magazine – a national industry-leading publication – for his mission work performed around the world. 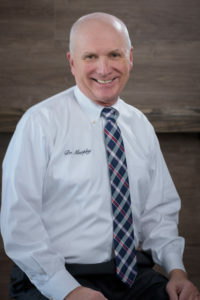 He has also been widely recognized in the area as the following: “Favorite Business Owner”and “Favorite Dentist” by readers of The Shore Update; “Top Doc” and “Top Invisalign Provider” by readers of “What’s Up! Eastern Shore; “Favorite Doc” by readers of Chesapeake Family Magazine. In the fall of 2017, Dr. Murphy was recognized by the Maryland General Assembly for his work in the community. He is married and the father of two adult children. In his spare time, he enjoys traveling and piloting small planes. Dr. Elba Olivero joined Eastern Shore Dental Care in 2017. She is a native of Cary, North Carolina and knew she wanted to be a dentist at the early age of 10. She completed her undergrad at Appalachian State University and then attended dental school at the University of North Carolina-Chapel Hill. There, she was voted President of Delta Sigma Delta – the oldest and largest dental fraternity in the world. Dr. Olivero is a member of the American Dental Association and the Chesapeake Dental Study Club. She resides in Annapolis, Maryland and enjoys working out, swimming, and lacrosse. 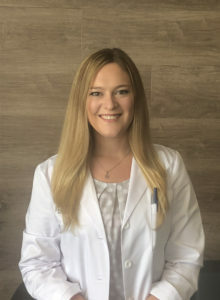 Dr. Jennifer Brotz joined Eastern Shore Dental Care in July 2018. Originally from Cherry Hill, NJ, she graduated valedictorian from the Maurice H. Kornberg School of Dentistry at Temple University in Philadelphia, PA. During her time in dental school, she was elected Vice President of her class, actively involved in the Public Health Club and Honors Oral Society, held a position on the Honor Board, and completed a mission trip to Jamaica to help those with limited access to dental care. Dr. Brotz recently completed her general practice residency at The Johns Hopkins Hospital in Baltimore, MD. She currently resides in Odenton, MD with her husband and labradoodle, Jeter. 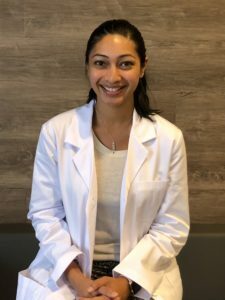 Dr. Sonal Parikh joined Eastern Shore Dental Care in August 2018. 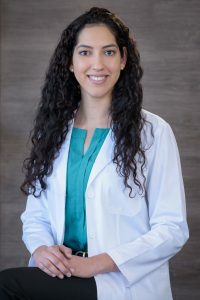 Born and raised in New Jersey, she completed her undergraduate degree at Drexel University and graduated from the Tufts University School of Dental Medicine in Boston, MA. During her time at dental school, she served as Co-Director of Project Bridge at Bridge Over Troubled Waters which provides free dental care for at-risk and runaway teenagers and young adults, and was a Clinical Teaching Assistant. Dr. Parikh completed her general practice residency at the University of North Carolina Memorial Hospital and is a member of the American Dental Association (ADA). She resides in Annapolis, MD and enjoys cooking, reading, dancing, and playing tennis in her free time. 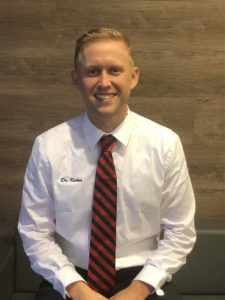 Dr. Patrick Kuhns joined Eastern Shore Dental Care in October 2018. A Virginia native, he graduated from Hampden-Sydney College for his undergraduate degree and attended the University of Maryland School of Dentistry. After graduating from dental school, he worked at a dental office in Hagerstown, MD before his arrival at Eastern Shore Dental Care. 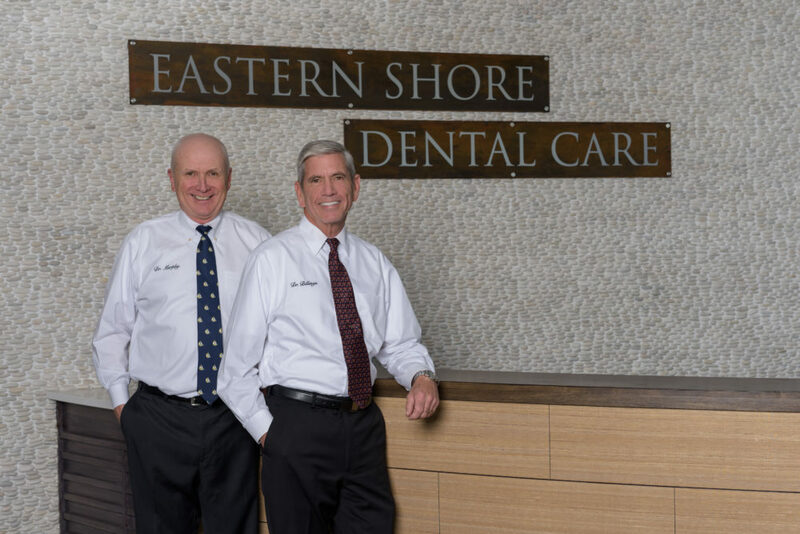 Dr. Kuhns is a member of the American Dental Association, the Maryland State Dental Association, the Academy of General Dentistry, and has advanced training in implant dentistry. He resides in Ellicott City and enjoys reading, playing golf, and snowboarding.